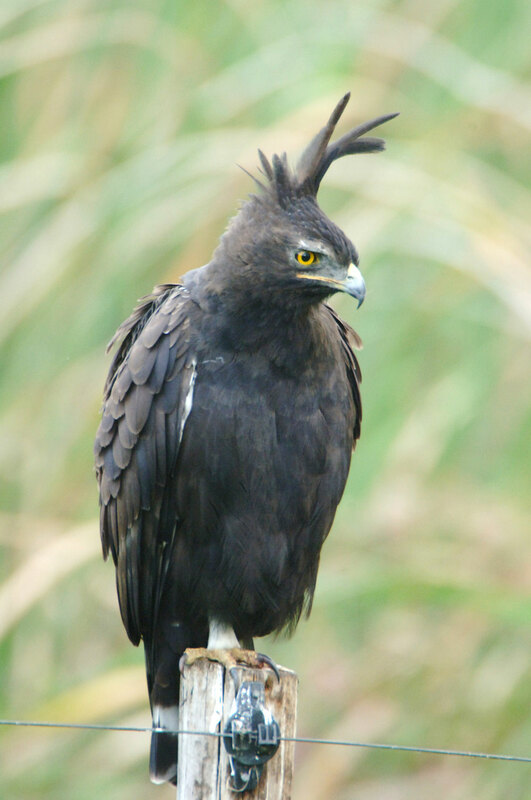 A medium sized black eagle with a long crest. Often found perched on poles and trees on forest edges. In flight the white “windows” on the wings and banded tail are diagnostic. Feeds on rodents. Has a high pitched mewing call. Common. This species has expanded its’ distribution with the development of gardens and is now found around Harare.